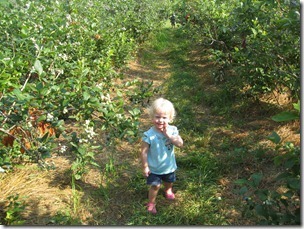 Today, we went back to Wintergreen Tree Farm for more blueberries. We don’t usually pick on Monday, but I had friends that wanted to meet and Monday was the best day. Nick and Sally are quite at home in the blueberry patch. They enjoyed seeing Julie (the attendant) again. It’s fun that Nick talks about her all the way to the farm. 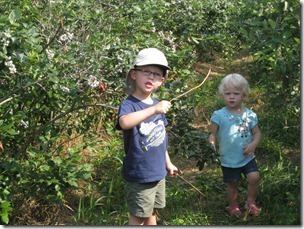 They are also getting better at entertaining themselves while I pick. Today wasn’t the best picking day. The patch was a bit picked over from the weekend. It was very hot and humid (even though we got there at 8:30 AM. Sally has decided that she hates bugs. Every time she sees a fly, mosquito, ant or any other creepy crawly, she screams at the top of her lungs and sometimes yells BUG! She was happiest when I was holding her. 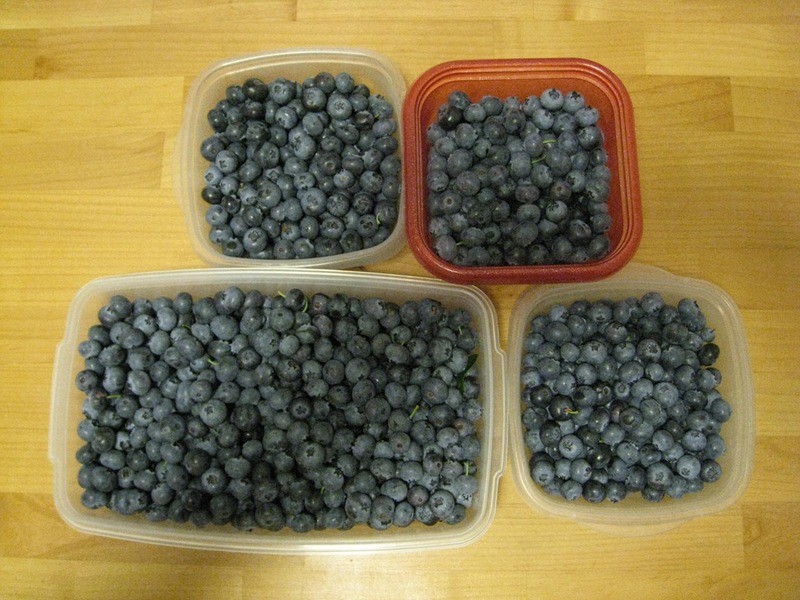 It was really hard to hold a 28 pound squirmy girl and pick blueberries with one hand. Not to worry, Sally was happy to sit in the stroller when Nick announced that he had pooped. Sometimes potty training is going better than others. Today, I was thankful for the port-a-jon and that I had restocked the wipes. Let’s just say that I was glad that the new pack of 40 was enough. 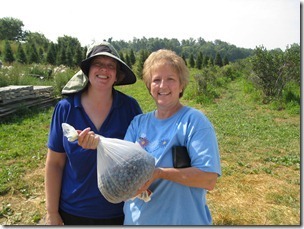 Our friend Debbie met us to pick today. 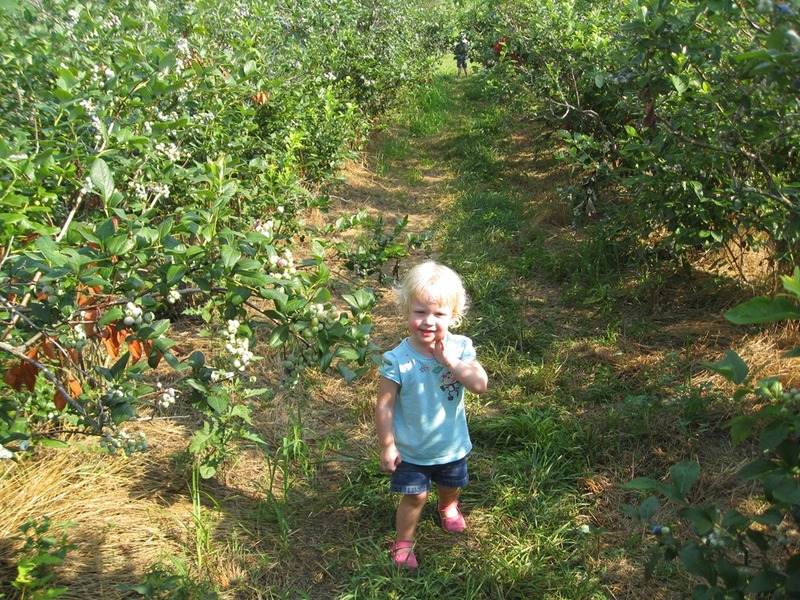 She had not picked blueberries before. Check out her loot for the day. I think she had about 7.5 pounds. I managed to pick 4.6 pounds. I thought that was good with the above distractions. 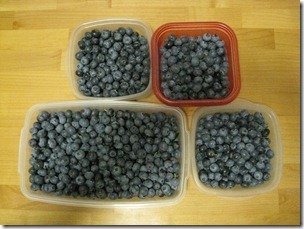 Picking should be better later in the week with the pending hot weather. There are still tons of unripe berries on the bushes. 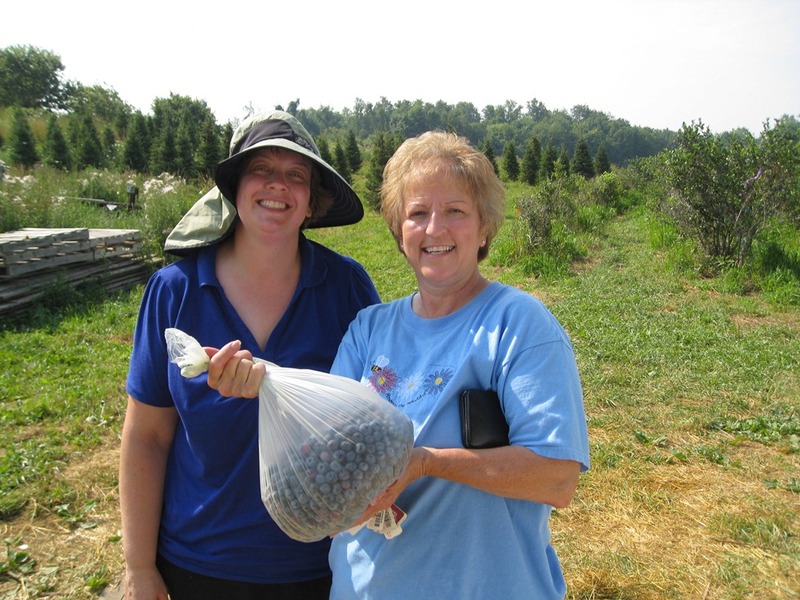 I think we are going to pick currants in Madison on Thursday, but we’ll probably be at Wintergreen one more time before the season ends.